Bitcoin is the king of cryptocurrencies. Its market cap is more than double that of the next most popular altcoin, and its value has reached the highest highs of any digital currency so far. Bitcoin is also on everyone’s mind these days, so naturally you’re a little curious to see what all the excitement is about. The good news is you don’t have to be a blockchain expert to get ahold of some cryptocurrency. Buying bitcoin for the first time can be a scary prospect, but if you follow our step-by-step guide below, you’ll be riding the Bitcoin rollercoaster in no time. Before you dive in with an open wallet, remember this piece of advice: start small, and never stop researching. There’s a lot to learn about the cryptocurrency world, and you don’t want to make any costly mistakes. Getting Bitcoins isn’t difficult, but keeping them secure and knowing when, where, and how to use them can be complicated. The biggest caveat to entering the world of Bitcoins is price volatility. If you buy 0.001 BTC you’ll pay a set price in your chosen currency, roughly the equivalent of 10 USD at the time of writing. Wait an hour or two and buy the same amount of bitcoin and you’ll pay a different price. A few weeks or months later it could double or halve, depending on the market. This value rollercoaster is one of the reasons people are excited about cryptocurrencies, especially Bitcoin. It’s an investment opportunity backed by cutting-edge technology, with the potential for massive returns. What’s not to like, right? Keep in mind there’s no such thing as a sure bet. It’s wholly possible you’ll lose money by buying Bitcoin, so play it cautious until you’re familiar with the landscape. Another thing worth mentioning is security. Bitcoins exist in a digital world. You can’t stuff them under your mattress for safekeeping. They’re a prime target for phishing schemes and hacking attempts, especially if you’re unfamiliar with the scene. We can’t overstate the importance of protecting your digital assets. We’ll cover the fundamentals below, but there’s always more you can do to boost your security. Want to learn more about the inner workings of Bitcoin? Check out our complete guide What is Bitcoin? for the full scoop. If someone hands you a fistful of cash, the first thing you do is put it in your wallet. The same holds true for cryptocurrencies. Digital wallets are used to store, send, and receive all varieties of cryptocoins. They’re sort of like a cross between a physical wallet and a bank account, only instead of crumpled bills and drive-through tellers, we get digital transactions via the blockchain. When buying your first bitcoins, it’s best to have a wallet ready to store them in. Exchanges, the services you’ll be using to actually buy coins, offer basic wallet creation, but it’s best not to think of this as a long-term storage solution. Make your purchase, then move to your own wallet for safekeeping, that’s the way to go. Since you’re just starting out with cryptocurrencies, you’ll want to keep your purchases small until you get the hang of things. You don’t need to spend weeks researching super-secure cold storage solutions. Go with a trusted desktop wallet provider like Electrum or Copay. Download the software and install it just like you would any other program, then launch to create your first wallet. Most of the wallet setup process is automated, but there are a few points where you’ll have to take action. The most important is when you get your seed phrase, a string of words used to encrypt the wallet and recover your funds in case something goes wrong. Write this phrase on a piece of paper and stash it somewhere safe. Don’t store it electronically, and never type it into a website or exchange. It’s arguably more important than your ATM card’s PIN, as it’s the only thing that can restore access to your bitcoins in case you lose your wallet. Once your wallet is created and your seed phrase recorded, you’re ready to do some buying. Most first-time Bitcoin buyers want a straightforward way to get coins under their control. The easiest way to do this is to join an exchange and link it to your bank account or credit card. When a brief verification process has been completed, you’ll be able to buy Bitcoin with a direct cash-to-cryptocoin transaction. Choosing the best cryptocurrency exchange is a science and art unto itself. Luckily, there are a few trusted beginner-friendly options that offer bank account and credit card transactions. Coinbase is the best choice for first-time buyers, as it allows residents of most English-speaking countries and much of Europe to open accounts. Start by heading to the website and kicking off the account creation process. When you sign up with an exchange, you’ll have to complete a detailed verification process. This includes entering details like your name, address, and phone number. You’ll also need to prove your identity by uploading a scanned passport or photo of a government-issued ID. Exchanges have to complete this process by law, there’s no way around it. Do note that there can be delays of hours or even days between account creation and verification. Once your exchange account is ready, it’s time to link it to your cash. Credit card transfers usually carry higher fees so if possible, link to your bank account instead. You’ll need to verify this with a few transactions sent by the exchange, which can take a couple of days, but afterwards you’ll be primed and ready to buy. The precise process for purchasing any cryptocurrency will vary depending on your exchange. Coinbase keeps things as simple as possible. Log into your account and choose the Buy/Sell tab. Click the currency you want to purchase (Bitcoin, in this scenario), choose your bank account from the Payment Method dropdown, then enter an amount. Once you’re satisfied, click “Buy Bitcoin” at the bottom of the screen. Your funds will be withdrawn, and Coinbase will send the bitcoins to one of your account wallets, minus the usual fees. You don’t have to do a cash-to-crypto transfer to buy Bitcoin. If you have altcoin assets socked away somewhere, you can turn them into bitcoins for a fraction of the fee. Using a bank account generally tacks on an additional 1.49% to 5% for each transaction. If you stick with crypto-to-crypto, you’re looking at 0% to 0.4% instead. The basic process for crypto-to-crypto transfers goes something like this: one wallet sends funds, a second wallet receives the funds, and a small fee is taken out to pay the network for verifying the transaction. It’s fast, it’s easy, and in most cases you don’t have to enter any personal details, just wallet addresses. The next screen is where the transaction will actually take place. ShapeShift will give you a wallet address to send your Ethereum to. Use your desktop or exchange wallet to send the Ethereum over. When that transaction completes, the ShapeShift page will show a confirmation, then complete the exchange by sending the funds to your Bitcoin wallet. Your transfer is complete. You own some bitcoin, and now it’s time to store them somewhere safe. You can leave them in the exchange wallet for as long as you like, but they’re more vulnerable to being hacked there than they are in a more secure location. Go ahead and move those purchased assets to a Bitcoin wallet so you can sleep easy. Open your local Bitcoin wallet and look for an option to receive funds. Copy the wallet address, then head back to your exchange and choose the “Send” option. Paste the address from your local wallet into the recipient box, then choose the amount you want to transfer. You’ll get a confirmation window after this, showing any related exchange or miner fees you’ll need to pay. Give the OK, and the transfer will be initiated. Moving Bitcoin from one wallet to another isn’t an instantaneous process. The transfer has to be verified by the network, which shouldn’t take more than 10 to 20 minutes. Once it’s complete, you’ll be able to see the transferred bitcoins in your local wallet. Storage wallets are a surprisingly complex part of the cryptocurrency world. There are several different types you can use, from mobile apps to desktop software to wallets made out of paper. Each one has its own strengths and drawbacks. Desktop wallets like the one you use to purchase your first bitcoins strike a good balance between security and convenience. If you plan on investing serious money into cryptocurrencies, though, you’ll want a stronger storage solution. 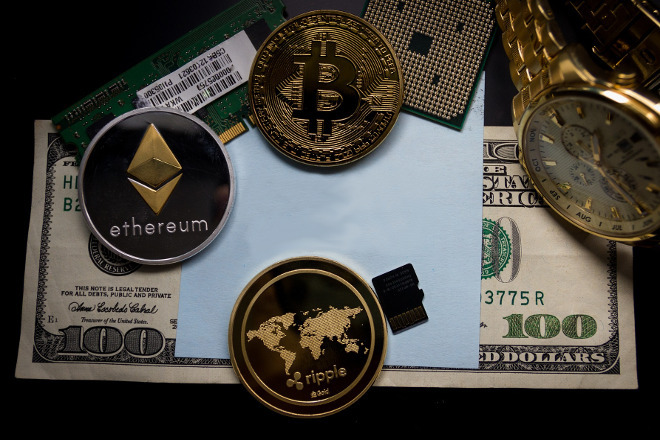 Our guide to cryptocurrency wallets has all the details you need. Stocked up on bitcoins and well-versed in the buying process, you now have a few paths you can take with your new digital currency. The first option is both the easiest and the most common: do nothing. Storing your bitcoins, affectionately called “hodling” by the community, lets you preserve your investment with an eye towards selling it for a profit in the future. All that’s required is a secure wallet and patience. Check the market every day, see what prices are up to, then decide when (or if) to sell. Using your bitcoins to purchase things is another option. 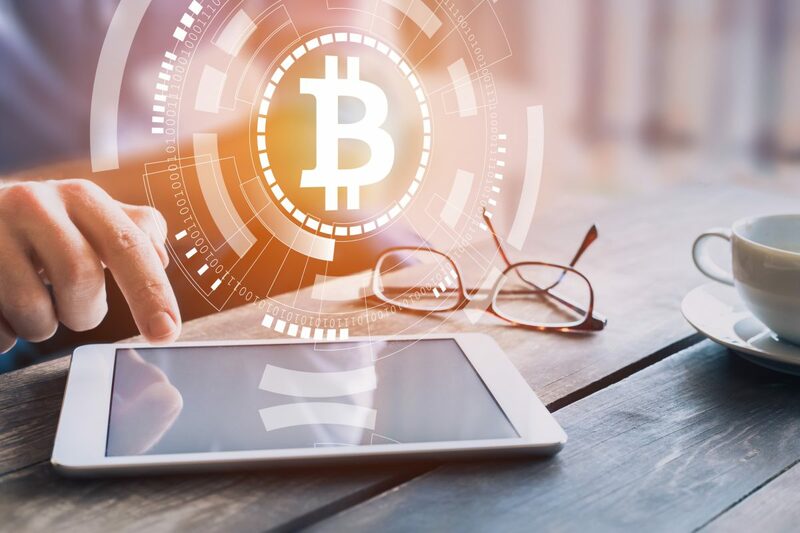 The number of vendors accepting cryptocurrencies is slowly on the rise, though a few big retailers have dropped support due to Bitcoin’s changeable value. Overstock.com still allows payments with Bitcoin, as do Microsoft’s game store, Expedia’s travel service, and hundreds of other retailers. SpendBitcoins is a great place to hunt down more websites and brick and mortar shops that accept digital currencies. And finally, the third main option for using your bitcoins is to donate them. The low overhead associated with crypto transactions allows organizations to accept digital currency without partnering with third-party financial services. Nobody has to give PayPal or Stripe their cut, which means more of your donation goes to the charity. The Wikimedia Foundation was one of the early adopters of cryptocurrency donations. These days you’ll find everyone from bloggers to YouTubers putting Bitcoin tip jars on their profiles. If you want to get more serious with cryptocurrency donations, search through BitGive for more organizations. Any selling, donating, or purchasing transactions you make with Bitcoin will take place using a wallet. You’ll simply open your wallet software, enter the receiver’s Bitcoin address and the amount you’d like to send, then initiate the transaction. Keep in mind that, unlike PayPal or credit card transfers, Bitcoin transactions are non-reversible, meaning no refunds by default. You’re also not anonymous with Bitcoin, so don’t trample off to the deep web thinking you’re untraceable. Got big plans for your new coins, or are you just going to hodl for a while to see what happens? You’ve got your foot in the door with this first-time purchase, so anything’s possible. To get more informed, keep an eye on other promising cryptocurrency projects, watch popular Bitcoin Twitter accounts for news and investment opinions, and get ready for the blockchain how orevolution. I registered at CryptoExmart and sold some bitcoins to my chase bank account and I got paid the same day. Hi there! Thanks for the article! I can recommend you to visit linkkoin.com, very low fees, quick verification, and fast payment using credit card. Just visit the website and check it for yourself. Hi there! I am using cryptoexmart to buy bitcoins but few days ago I found linkkoin.com, and I am surprised how much easier I can buy bitcoins there. Someone else tried to buy there? I had issues using different sites to exchange my bitcoins to FIAT until I came across CryptoExMart.com were I sold about 0.9 BTC and I got paid within the hour in my bank account and my bank was not blocked!!! I am so happy!